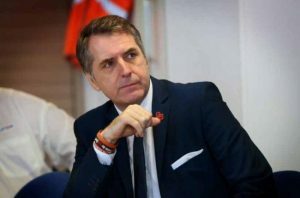 Steve Rotheram has marked the first anniversary of his election as the first Metro Mayor and the creation of a Mayoral Combined Authority by celebrating the achievements of the Combined Authority over the last year. Elections for the new role were held on 4 May 2017, with Steve officially taking up the role on Monday 8 May, 2017. The city region has had a Combined Authority since 2014, bringing together the political leaders of the six local authorities – Halton, Knowsley, Liverpool, St Helens, Sefton and Wirral – along with the Local Enterprise Partnership. With the election of a Metro Mayor, that body became a Mayoral Combined Authority with additional powers over key priorities including employment and skills, strategic housing and planning, transport and highways, economic and business growth, energy and environment, culture, finance, European funding, information sharing, constitutional and governance issues. “This has been a very exciting first year as Metro Mayor of the Liverpool City Region and, working with the leaders of our six local authorities, we have already achieved so much. “Devolution means that we can make our own decisions here, rather than having them taken for us in Whitehall. “We’re using that power to deliver an investment programme of over £1bn in transport, skills, economic development and housing. “Whilst transformational change will inevitably take time, today is an opportunity to assess our progress to date. Some of the key achievements over the last year include: our £5m Households into Work programme, helping 800 families into new jobs; building a new station at Maghull North; and securing £234m in additional government funding to modernise our transport network and connect the City Region to HS2. “This is just the start. I stood as Metro Mayor because I believe that devolution can be a game changer for our region. 3. Invested £3.4 million in Alstom, for a state-of-the-art train maintenance and repair facility, creating hundreds of local jobs and apprenticeships. 11. Delivering £5m to support the Liverpool 2018 cultural programme– the celebration of the 10th anniversary since it was European Capital of Culture. 12. Investing in initiatives to support the creation of 5,000 local jobs, 2,000 apprenticeships and 25,000 new homes by 2020. 13. Securing £234m in additional government funding to modernise our transport network and connect the City Region to HS2. 14. Establishing FASJAB (the Fairness and Social Justice Advisory Board), the first of its kind in the country, to ensure fairness and social justice is at the heart of decision-making across the Liverpool City Region. 15. Securing a share of £28m from government to deliver a ‘Housing First’ approach to homelessness.